If you are looking for a great deal on cockatiel bird cages, Amazon has a great range at even better prices. Ordering cockatiel bird cages online give you so much more choice and saves you hours of driving around. 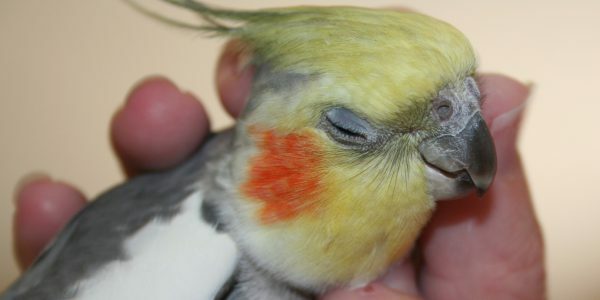 I personally wouldn’t buy a cockatiel online, as I choose them for their personalities. If I do get one online I make sure I can see it first, and often it is just too far to travel. Cages and accessories, on the other hand, are great to order online, and they are delivered conveniently to your door. Here below is just some of what you can find at Amazon……. Here are some points to consider when buying your cockatiel a cage. The ideal size would be at least 24 inches square and 30 inches high or bigger. The cockatiel needs to be able to at least stretch his wings out fully and not be able to touch the bars if he is in the middle of the cage. Make sure the bars are not too far apart, as in the larger parrot cages. A half an inch is perfect. Buy the largest cage that you can afford to give your cockatiels plenty of room to climb and play. A square cage is a better choice than a round one. Don’t forget to purchase perches and toys to keep your cockatiel entertained. Cockatiels love Swings. Painted cages are not ideal as the cockatiel likes to chew the paint off. Ask if the cage has had treatment for rust if it is going to be outside. Check that the cage won’t be cumbersome to clean. A slide out tray at the bottom is ideal. Make sure the cage comes with food dishes or that you can buy generic ones that will fit. Make sure the cage is sturdy and safe for your bird. Thanks for the kind words Ilona. The first thing I look for when buying a bird cage is how easy it is to clean, as this has to be easy to maintain to keep your pets in peak condition. I found the list at the end of the page very informative. If I were shopping for an item for any pet, I would want to make sure it is appropriate and healthy for them and that helps me understand those things. I also think that this page would be helpful for new cockatiel owners as they are unique pets and need unique care in some respects. You are so right Lauren. And just because they are small, doesn’t make them any less important than say a dog for a pet. Really interesting post, and timely too as our daughter has been begging for a pet lately and my husband and I are thinking a bird like a cockatiel is the way to go. Your list of helpful tips is exactly that… helpful. Thanks for the heads up on some problems like paint-chewing and making sure it’s big enough for the bird to spread its wings fully… and a reminder of the need to be easily able to clean the tray by getting a slide-out. All great advice. Only a pleasure Marlaine and all the best with your new cockatiel.